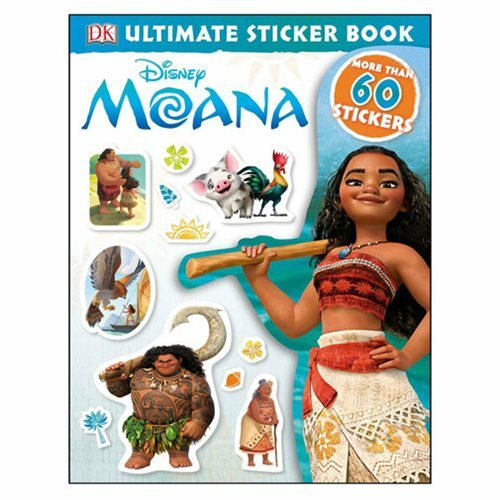 Create your own scenes with your favorite characters from Disney's animated film, Moana, with the Disney Moana Ultimate Sticker Book. This amazing sticker book is packed with charming characters and exciting scenes from the Disney movie and features more than 60 easy-to-peel stickers. The 16 page book measures about 11-inches tall x 8 1/2-inches wide.